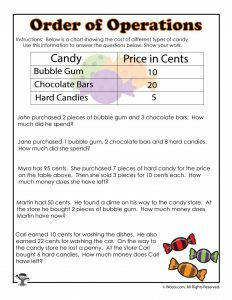 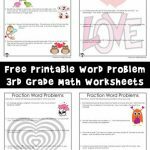 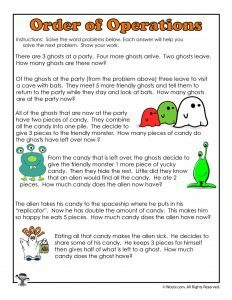 This is our next installment in our series of 3rd grade word problems worksheets for the entire school year! This series follows the common core guidelines for the math curriculum sequence from school year start to end. 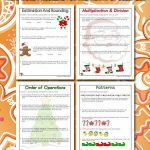 Each set coincides with the guidelines and the time of year or holiday around when these math principles should be taught. 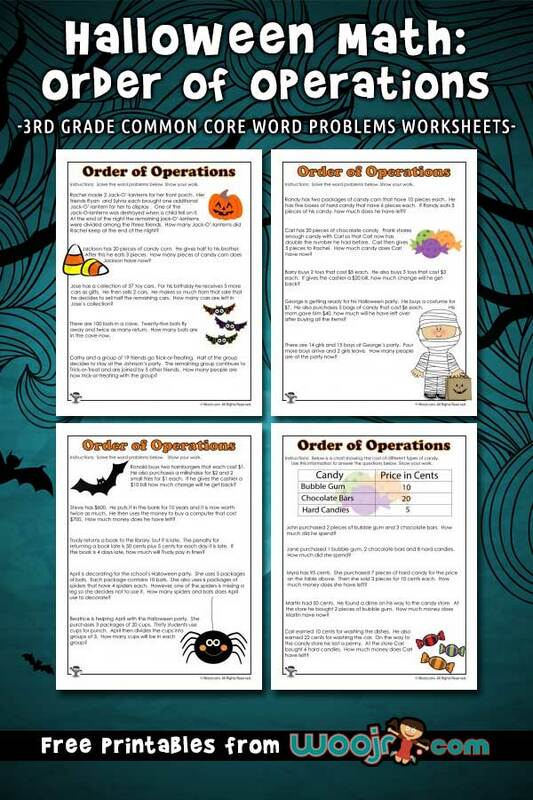 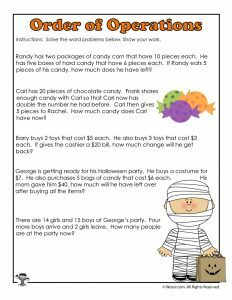 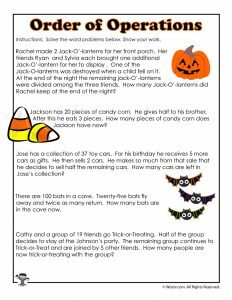 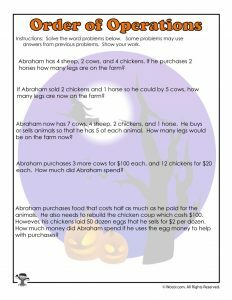 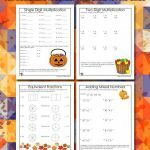 For Halloween we have a set of order of operations worksheets. 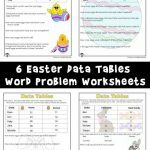 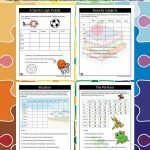 These worksheets will allow students to practice the correct procedures in the correct order – we hope! We’ve also included answer keys for each page. 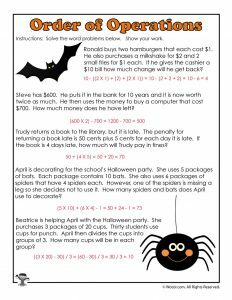 And today we shared even more 3rd grade Halloween math worksheets (fractions and multiplication)!